Honestly, this is one of the decisions that that come with working at a job. Nothing out of the ordinary. We all get to that point at a job or in a career that we feel we need to make the move. This decision and about a million others stare us in the face everyday. But what really is the real decision we are making? It’s not the decision about the job – it’s the decision about us. Are we looking out for ourselves first? Are we Number 1 in our books? If we are Number 1, the decision is very easy. We make make the choice that makes us happy the most per time. But is that really what we are about? Last week, I was listening to a podcast by someone I follow. His name is Pastor Bankie. 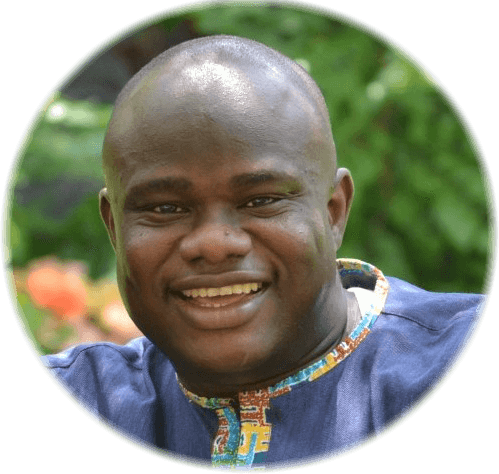 He is practicing pathologist in Eastern Nigeria who runs a teaching ministry. Listening to his preaching is like a little group discussion you have with a bunch of friends. You guys start with a main thought but you talk about anything else that comes along the way. So, don’t be in a hurry to listen to his podcast (itunes,android) he takes his time to drive his main point home. He talked about the story of Hagar & Sarah in a way I had not looked at it till then. Sarah had mistreated her slave, Hagar and so she ran away from home (Gen 16:6-12). Funny thing happened on the way to freedom for Hagar. She met an angel.Unfortunately, this was not the kind of I-am-going-to-make-it-right visit from the angel. First, he tells Hagar to go back to her boss and be a good slave. Second, he now promises her a blessing that has a long-term realization period – “I will increase your descendants so much that they will be too numerous to count.” Gen 16:10. That is really scant consolation for the immediate. No promise of I-am-going-to-make-your-boss-better or I-am-going-to-eliminate-your-bad-boss. It’s really not the answer Hagar would have wanted. To top it all, he tells her that her son is going to the playing the me-against-the-world part in the family. Gen 16:11,12. It really wasn’t the beautiful epiphany I would have loved. But Hagar decided to focus on the fact that an angel visited her – it meant God was watching over her. It didn’t mean that her situation changed. But it changed her decision to turn tail and run. 2-I can’t understand everything that happens to me on a job. 5-God will take care of me but He doesn’t have to take out an unfair boss to do that. Button line, the easiest route in not often the path that faith demands of us. 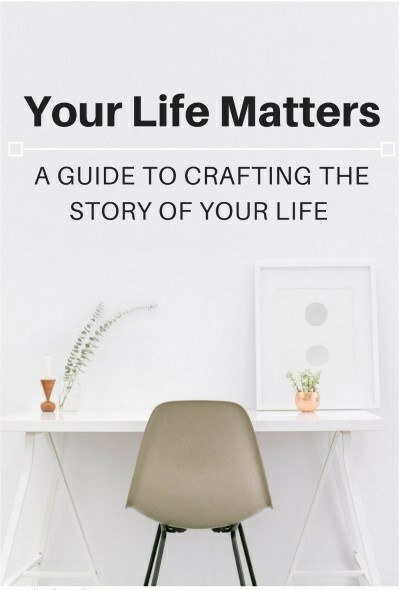 The question most of the time is who do we want to make happy with our decisions? If you want to be happy, then changing a job when you get an unfair boss might be the most reasonable course of action to secure your happiness. 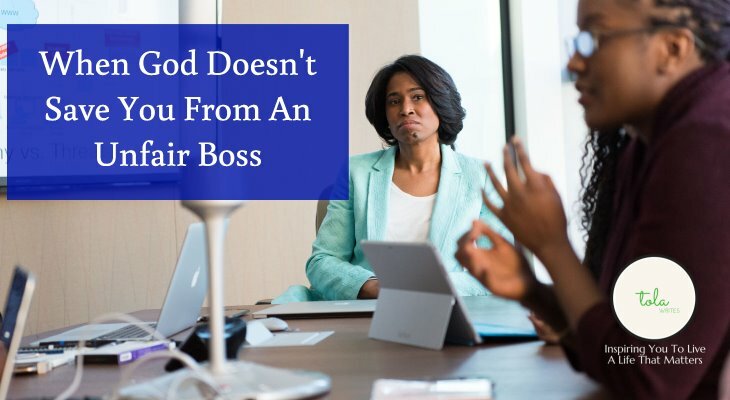 But if you want to make God happy, then you should be open to the possibility that staying under an unfair boss might be the story God is writing with you. Things may not get better immediately but they will eventually work out for God’s greatest happiness and yours too. In the meantime, encourage yourself with the fact that God is more concerned about you than you could ever be. 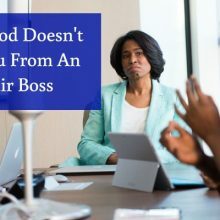 By the way, if you plan to make a career move from an unfair boss and find conviction from God not to – make the move. He was OK with staying under his unfair boss Laban until God said “boy, it’s time to make the move” (Gen 31:3-9). And the move worked out for him, even though he had some fears along the way. (Gen 31:31,32:6-8). If you stay, stay because you are sure it’s the move that would make God as your father happy. And if you leave, leave for that same reason. Let your choice always be driven by one goal – living everyday to make God happy with the decisions you make. Decisions that celebrate your relationship with Him. That’s what kids do for their fathers. And God is that to you and more.